Last week marked my twenty-first wedding anniversary. I’m a lucky girl having married my handsome, sweet Dane. I’m also blessed for another reason: my in-laws. They’re my “bonus” and I love them to pieces! Last month, we got to spend two weeks together when they came for a visit. We so enjoyed them! Living so far away, we always cherish the time we have together. In honor of my beloved in-laws, Torben and Ulla, join me on a “virtual tour” of Denmark, and enjoy some of our favorite Danish recipes! Off to the Vintage Bazaar! Before we get lost in the isles at The Vintage Bazaar let me first wish you all a very HAPPY FALL! I know I’ve told you this before but fall is my all time favorite season. Indian summer days filled with golden sunshine, cloudless clear blue skies and cooler nights for sleeping with the windows open have returned. 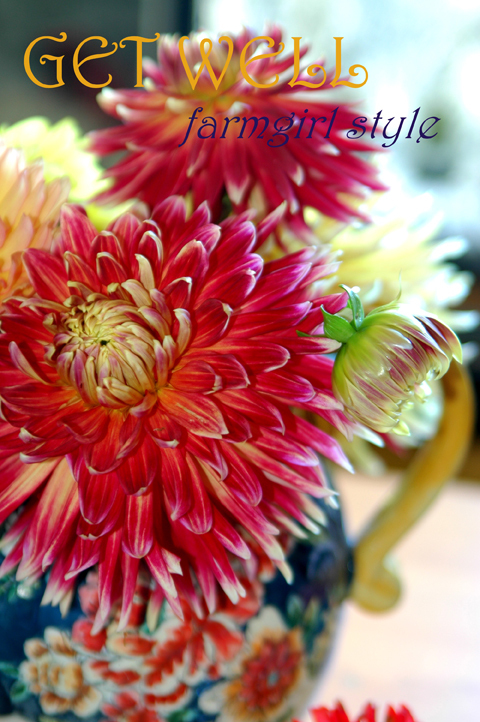 Just in time for apple picking, fall festivals, and flea market shopping at it’s finest! 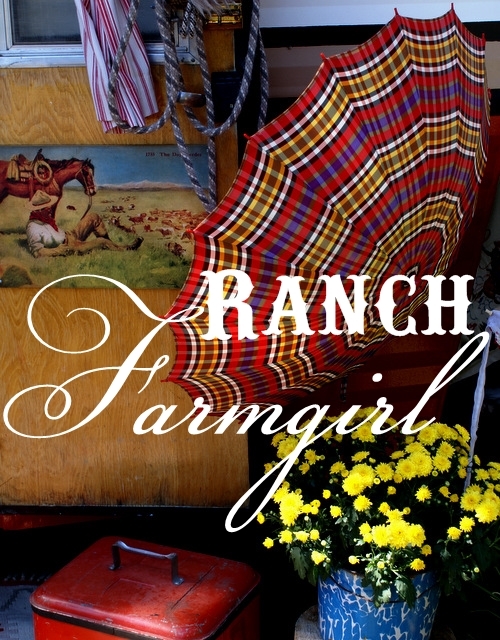 Who’s up for an early fall farmgirl adventure? Think Round top East! 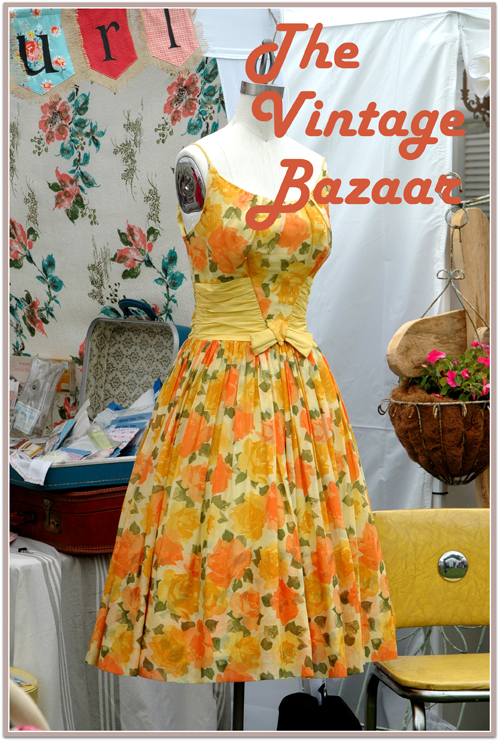 Off we go to The Vintage Bazaar where nothing but the finest rust, must, dinge and dust await! Sometimes people worry about me–“You’re not hauling huge loads, are you?” or “Are you worried about contact with manure?” However, people are mostly the same ol,’ same ol.’ They either think farming is an adventurous and interesting career choice, or they don’t. For those few folks who have worried about my life as a pregnant farm worker, I assure them that my job is safe, fun, and probably much healthier than many other jobs I could have! 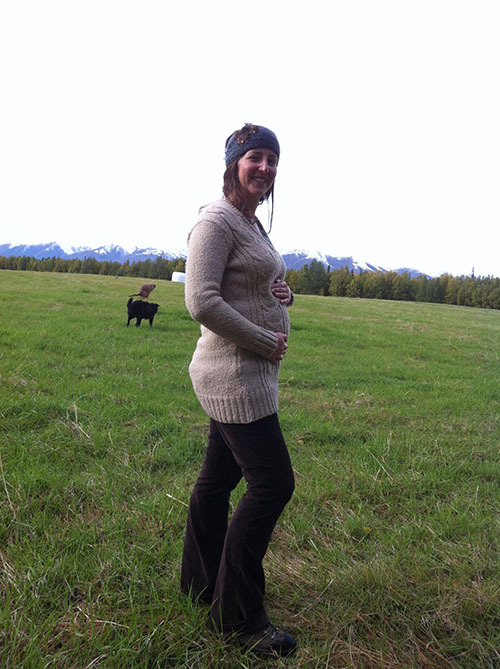 The Pregnant Farmer in non-farming clothing. 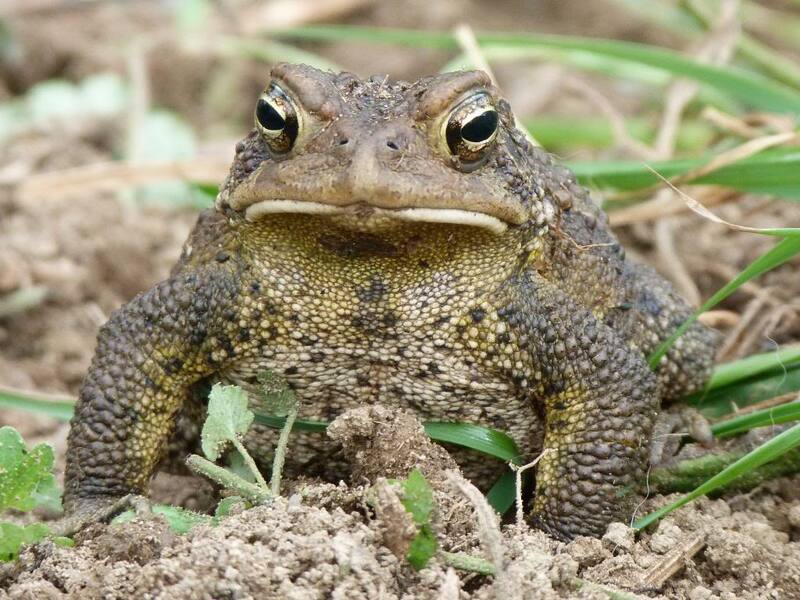 I met this toad earlier today in my garden. “What ‘cha doing just sitting there, Buddy?” I asked. “What are you waiting for, Little Dude?” I asked him. He seemed happy enough to just sit there. I wish I could learn to wait like that toad. He was still there when I headed inside for a cup of tea. Remember the old Neil Diamond tune, September Morn? It came to mind a Saturday ago. My glampy galpals and I participated in our little town’s annual classic car show. We reserved a corner in the city park and glamped up our part of the show in Glamperous fashion, in full regalia! It was a beautiful September morning that turned into a hot ‘indian summer’ afternoon. It was so much fun sitting around all day and visiting with the mob of passers by. 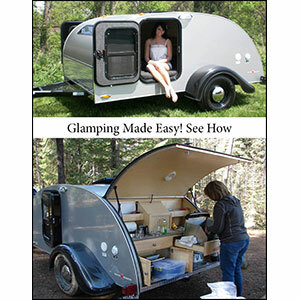 The glampers were open for everyone to look at and they were a huge hit! Golden Oldies music filled the air at the park. It was like being in a time capsule, or taking a trip back through the years, back to a time when your food order was brought to your car and sat on a tray hung on the driver’s window. Memory Lane to be sure … and we had alllll day to linger in that now far away place – “Happy Days”. Recently, our relatives visited from Denmark. The first week was spent at our house; the second week, we all recharged with a trip to Florida! It was not easy to sync so many schedules – six adults and three kids from two countries! What a fantastic week! Disney World is thrilling, but there was one particular day that has us still beaming. How often do you get to cross something off your “bucket list”? 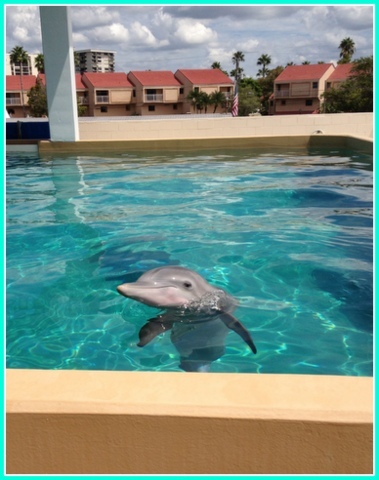 We couldn’t imagine traveling from Connecticut to Florida, and not visiting someone very special! My sweet mom recently had a hip replacement surgery and I’ve been ” on duty ” ever since doing my best to get her back on her feet and feeling like her ( I’m not gonna say old self cuz we don’t want that ) NEW self again! Do any of you suffer from arthritis? Gosh, I hope not. I’ve watched my sweet moms’ life come to nearly a complete stop due to one of her hips being riddled with it. I’m happy to say, she mustered up the courage to have it replaced a couple of weeks ago and we’re hoping she’ll be good as almost new in a couple of months. In the meantime, I’m spoiling her WELL with daily doses of farmgirl fare in the way of good cheer, fresh flowers from my garden and nutritious food to keep her spirits light and her body nourished with all good juju so she can have the best of recoveries… After all, I need her well so we can get back to being creative together again! It has been a busy fall. Between building the yurt, finishing up the farming season, and starting the school year, there shouldn’t be much time for anything else. However, the last two weeks have also seen two multi-day road trips in Alaska. First, Evan and I drove to Kasilof, Alaska on the Kenai Peninsula for a friend’s wedding. With Evan being a member of the wedding party, we arrived on a Thursday and made it a long weekend. The following week, I made my way up to Fairbanks to conduct a bit of research for my thesis work. Both trips–even though they were for non-recreation purposes–provided some unexpected, yet welcomed respite from our busy schedules. 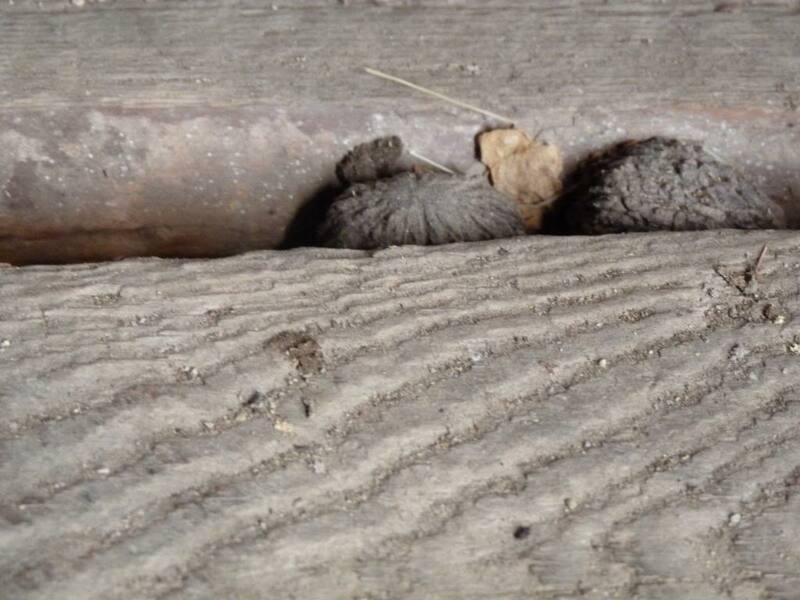 I never thought I’d have the joy of owning an old barn, much less several old barns. When we moved here, the buildings were in various states of disrepair. I only saw their potential at that time, never thinking much about the actual process of them REACHING their potential. Whew. It is a process, a definite process. We are tuckered-out with the process. Sooo … my farmgirl gal-pals & I are getting this glamping thing down to a science … and we’re adding other glampers to the flock. The easy part is wanting to go. The hard part is getting everyone on the same page schedule-wise! We’re all busy with ‘life’ in general. But, one way or another, we manage. C’mon in and see for yourself.